Ideal solution to manage string inverters by SMA (type SunnyBoy or Sunny Tripower). Allows to manage the power output, to integrate sensors (temperature, sunlight, etc.). 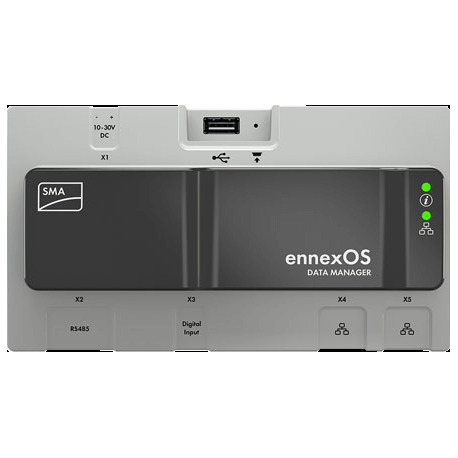 Equipped with a web server: It can send the data of up to 50 SMA inverters to the online server.